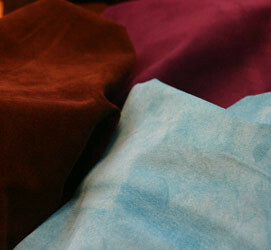 The go to commodity suede product for durability, size and applications. 'Grain on' reverse for the most part although not recommended for unlined use as this can be very variable. Thickness 0.7/0.8mm skin size averaging 13square feet. This article does show the hair follicles from the pig on the suede surface.